— a gone-to-seed private detective who had been kicked off the local police force. It was a fun show. — he played Herb). Even though The New Batman Adventures ended in 1998, Costanzo is still the reigning voice of Bullock, having come back to voice him in recent video games, including this year's Batman: Arkham Origins - Cold, Cold Heart and 2013's Batman: Arkham Origins. Tim Burton also used a Bullock type in his 1989 Batman, although he gave the character a different name: Eckhardt. (Not to be confused with Aaron Eckhart, who plays a different Harvey — Harvey Dent, who becomes Two-Face — in The Dark Knight. I told you it wasn't easy keeping this all straight.) This time he's played by William Hootkins. Eckhardt has a run-in with Jack Napier before he becomes The Joker. It doesn't end well. For super-nerds, Hootkins also has a small part in Star Wars: A New Hope. He plays a pilot with the unfortunate name of Porkins. I don't want to spoil anything, but that also doesn't end well. And finally in Christopher Nolan's Batman Begins, there was another Bullock-type cop. 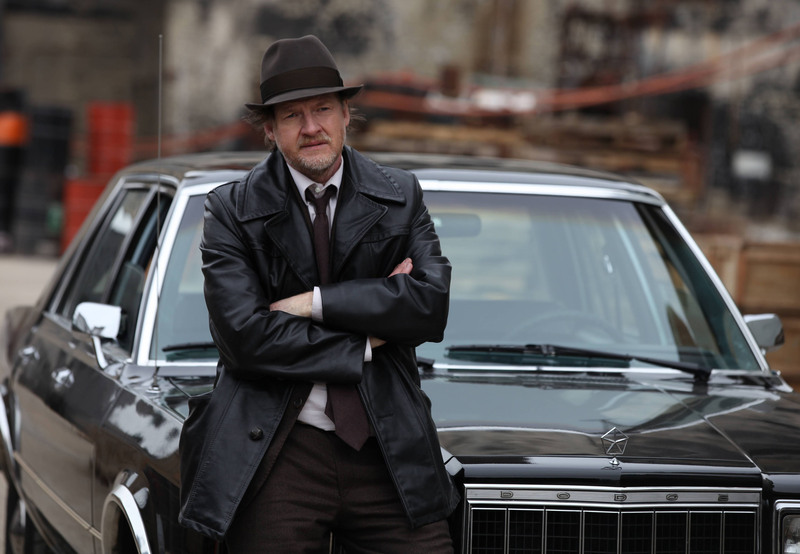 Again, he wasn't exactly Harvey Bullock; his name was Arnold Flass. Unlike Bullock, Flass was pretty corrupt, and worked for mob boss Carmine Falcone. He was played by Mark Boone Junior, who, to bring things full circle, played Bobby Munson on Sons of Anarchy, a show that also features Donal Logue. So, Logue has a rogues' gallery of prior Harvey Bullocks to live up to. The good news is he still doesn't have a very high bar to clear, and could go down as the best Bullock in Batman history.